Advanced classes are a combination of form review, ​push hands, and sword. ​You must attend the Form Review on the day you attend Push Hands. Saturday Form Reviews are open to all levels. 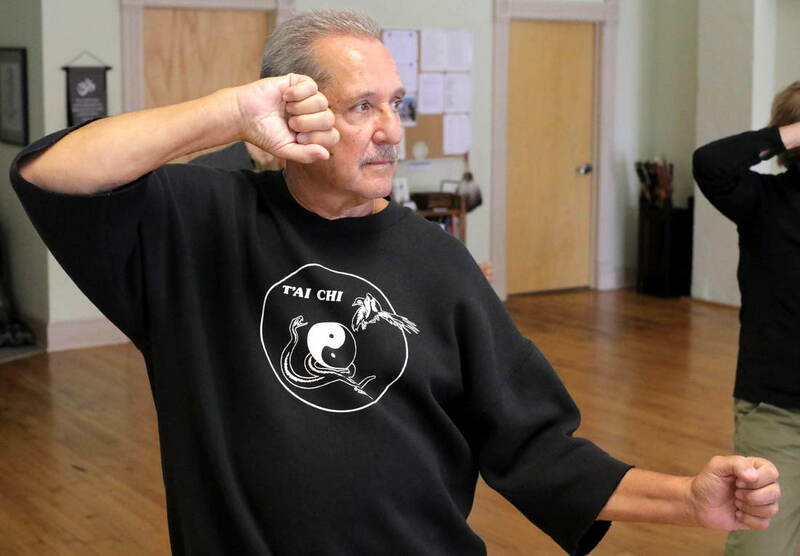 Push hands, or tui sho, is an interpersonal practice that is an integral part of tai chi training. This interaction between two people serves to broaden their understanding of the principles and skill in applying tai chi to relationships and conflict, creating greater harmony and fellowship. Tui sho, done in a principled way, develops flexibility, adaptability, sensitivity, and mindfulness in an atmosphere of mutual respect. Composed of a 52-posture form and free-style fencing, sword, or tai chi chien, further refines and deepens the student's understanding and expression of the essence of tai chi. Fee includes unlimited access to any class any time. For those who attend one class per week on average during the session. All fees are non-refundable and cannot be applied to any dates other than the dates initially paid for. Payment is due at the first class of the session.